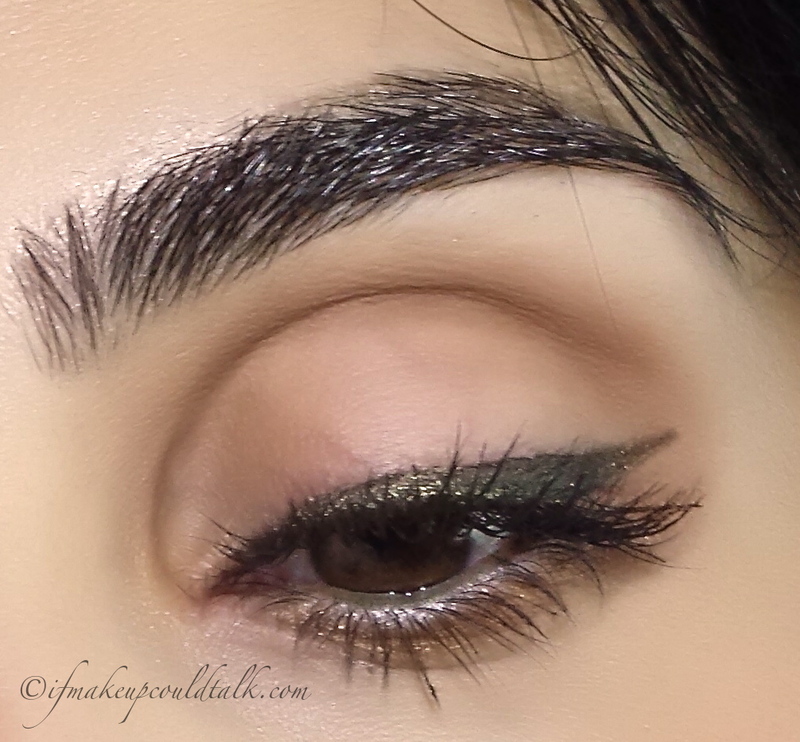 Yves Saint Laurent Long-Wear Cream Eyeliner 3 Noir Bronze review and looks. Yves Saint Laurent Long-Wear Cream Eyeliner 3 Noir Bronze. Yves Saint Laurent Long-Wear Cream Eyeliner 3 Noir Bronze ($30 USD/ 2.8g) has been on my “must-buy” list for the longest time. 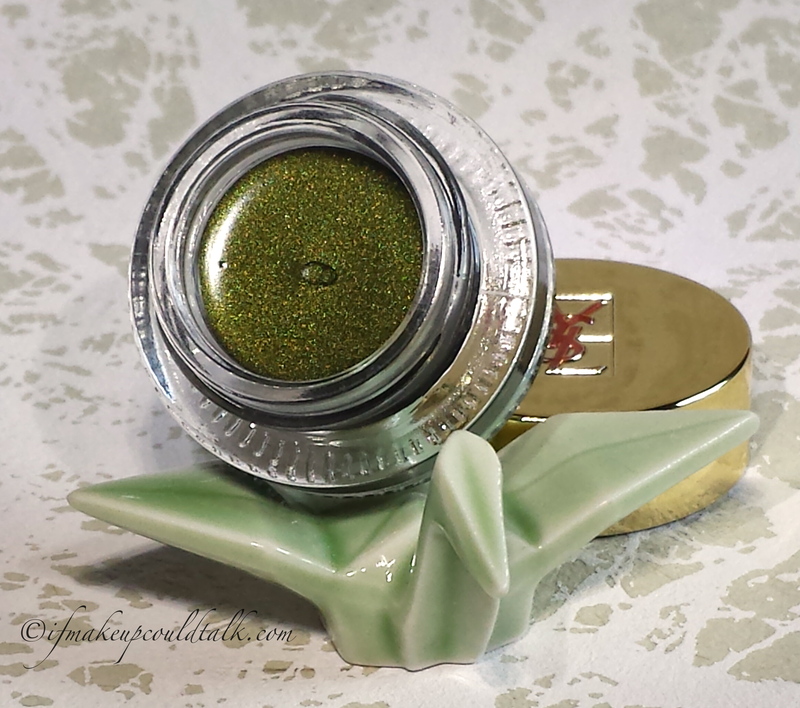 This mossy golden shade appeared to be the perfect shadow for my coloring, without being too adolescent or outrageous. Unlike many colored liners that appear garish, Noir Bronze possess such a versatile appeal, I doubt anyone will be able to resist its beauty. 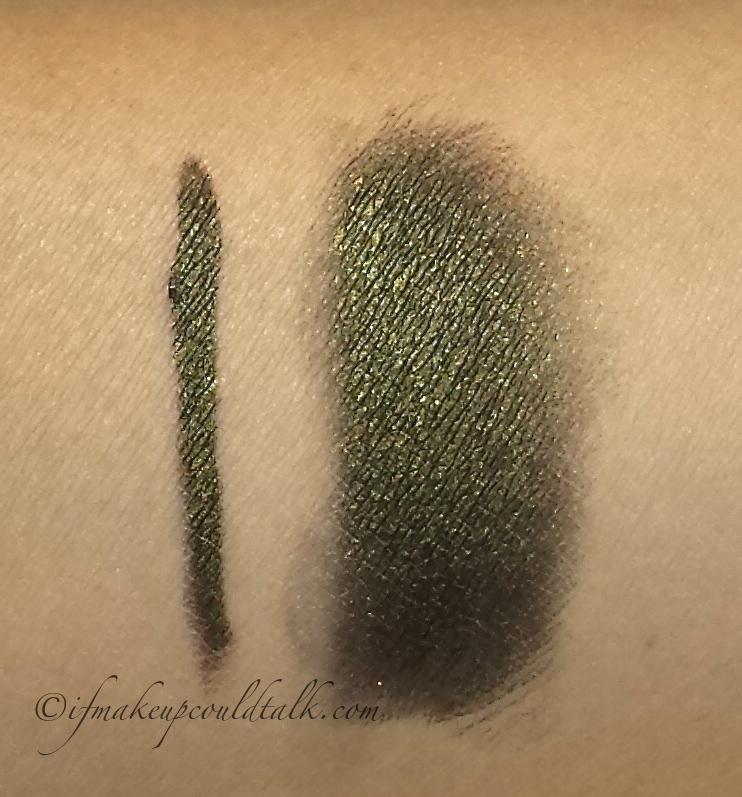 Yves Saint Laurent Long-Wear Cream Eyeliner 3 Noir Bronze swatch as an eyeliner and blended as an eyeshadow. Beautiful glistening mossy green shade, which is actually composed of a blackened base with gold and bronze pearl throughout. Glides along the lash line without skipping. Creamy texture is easily blended for use as an eyeshadow. Setting time is roughly one minute–plenty of time to make any necessary adjustments. 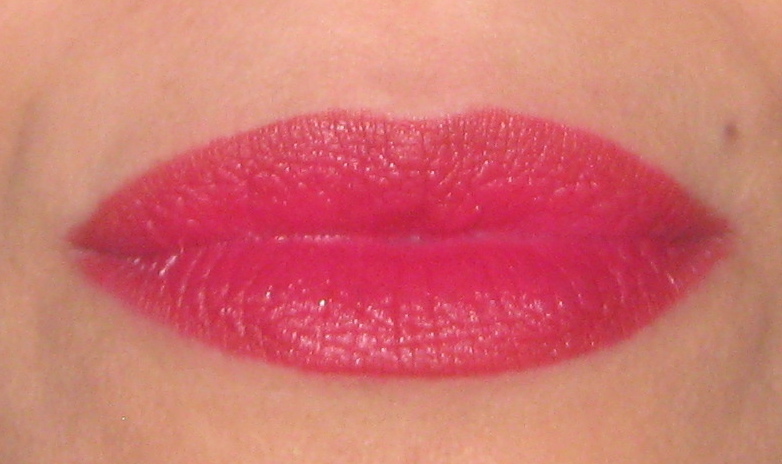 Color is noticeably dark, but not so much so, as to be mistaken for a black liner. Lasts all day, over a primer for 12 hours+ without any fading or flaking. Waterproof formula is ideal for hooded eyes and oily lids. Looks spectacular with all eye colors, especially brown…YAY!! 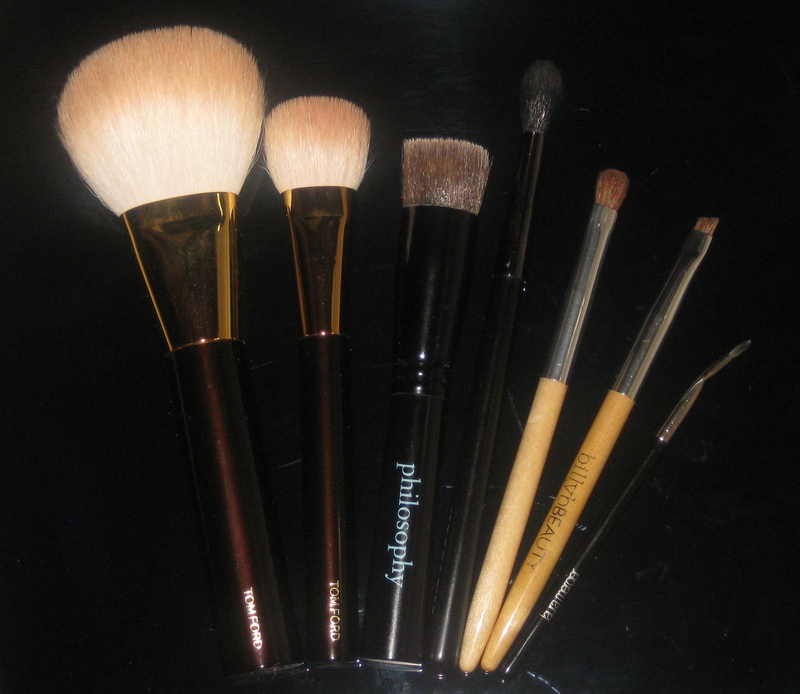 Can be applied with a variety of tools: angled eyeliner brush, pointed eyeliner brush, shadow brush, natural and synthetic fiber brushes, etc. 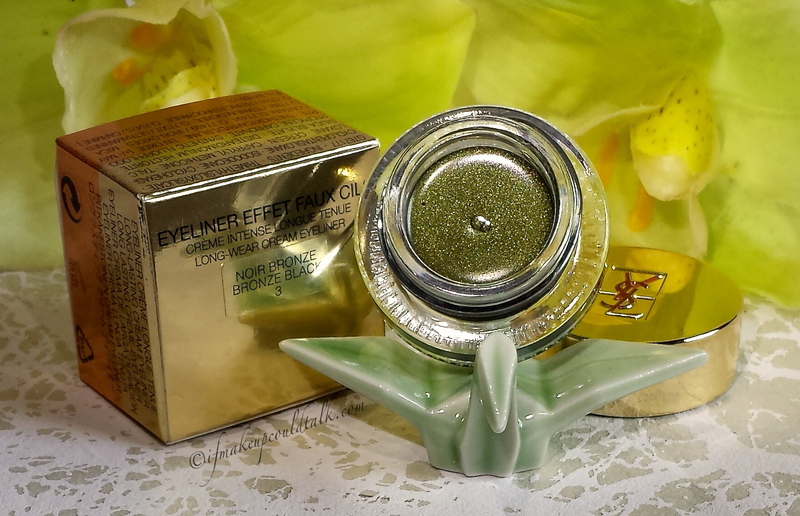 Amazing shelf-life; my YSL #7 Gold Star Cream Liner is over two years old and remains as silky smooth as the day it was purchased. Small amount needed for maximum color impact. Can be applied on the waterline. 7 sophisticated shades offered: 1 Deep Black, 2 Ashy Black, 3 Noir Bronze, 4 Sea Black, 5 Cherry Black, 6 Jade Black, 7 Gold Star. Small opening hinders the use of fingers (except my pinky finger). Sephora only carries 4 out of 7 colors offered. #7 Gold Star can only be purchased from yslbeauty website. Made in Korea, I suspect the same manufacture as Shu Uemura Gel Liners. No other cons…smoother and more consistent than Bobbi Brown gel liners. For the above photos, I used my Memebox Meme Angled Eyeliner brush (reviewed here) to apply Noir Bronze to the upper lash line. 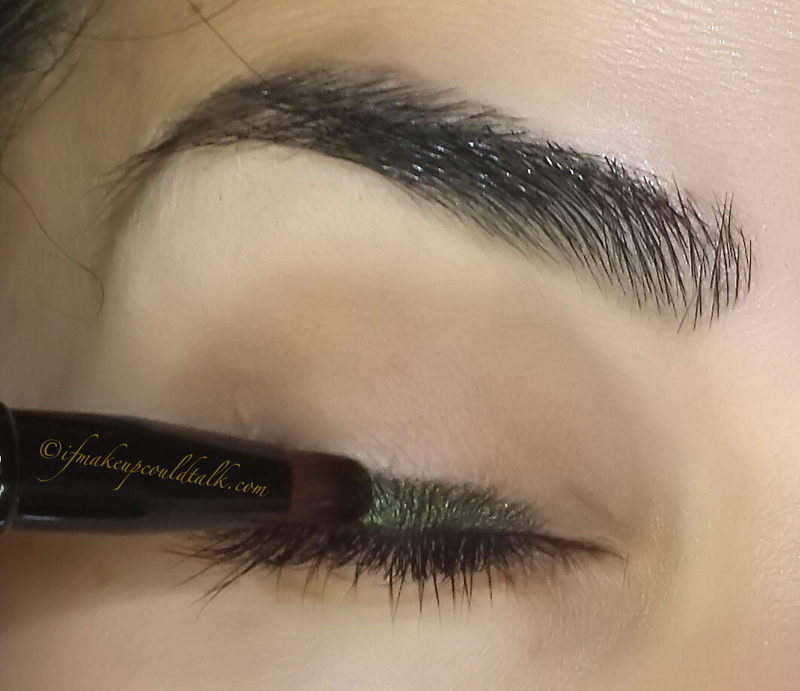 When used as an eyeliner, the color morphed into more of a darkened bronze/khaki color. Whatever the case, the result was simply stunning. Yves Saint Laurent Long-Wear Cream Eyeliner 3 Noir Bronze applied thickly alone the lash line. Yves Saint Laurent Long-Wear Cream Eyeliner 3 Noir Bronze used as an eyeshadow. 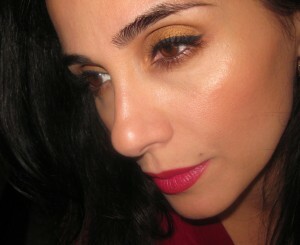 Yves Saint Laurent Long-Wear Cream Eyeliner 3 Noir Bronze as an eyeshadow (wearing Chantecaille Bronzer). 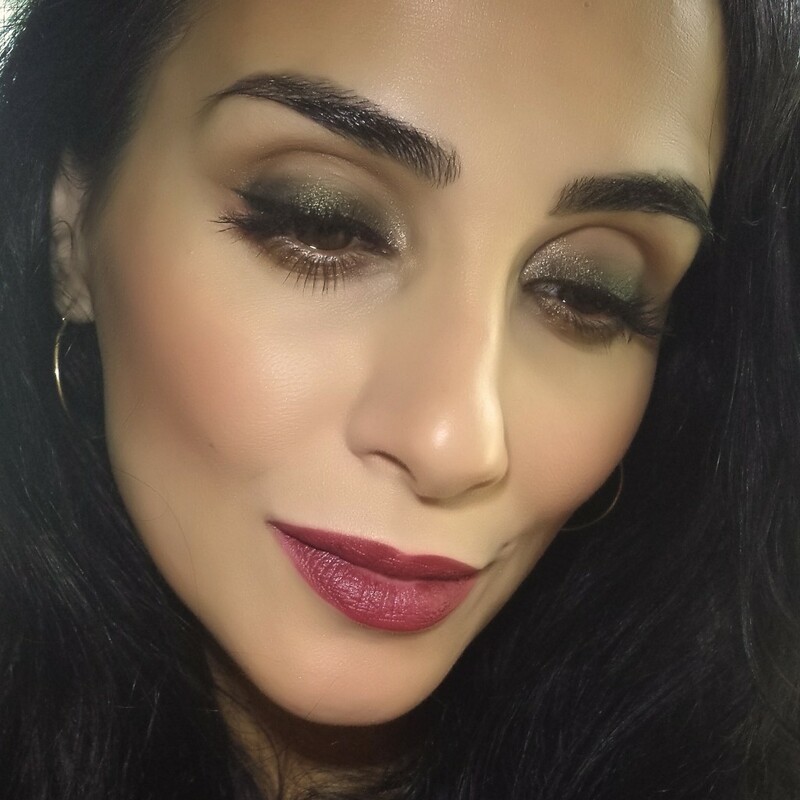 For the next look, I used my Memebox Meme Dual-Ended Shadow Brush (reviewed here) to apply and blend out the color along the lash line, which resulted in a smokey sultry eye look. Yves Saint Laurent Long-Wear Cream Eyeliner 3 Noir Bronze over Make Up For Ever Artist Shadow I-648. For the final look, I applied MUFE Artist Shadow in I-648 on the lid and then used my Dual-Ended Meme Brush to smoke out Noir Bronze along the lash line. Trimethylsiloxysilicate, Cyclopentasiloxane, Isododecane, Cyclohexasiloxane, Ceresin, Caprylyl Methicone, Talc, Silica Silylate, Disteardimonium Hectorite, Propylene Carbonate, Synthetic Fluorphlogopite, Triethoxycaprylysilane, Tin Oxide. [+/- MAY CONTAIN: CI 77491, CI 77499/Iron Oxides, Mica, CI77891/Titanium Dioxide, CI 77007/Ultramarines, CI77510/Ferric Ferrocyanide, CI 75470/Carmine] (F.I.L. B47681/1). Yves Saint Laurent Beauty can be found at Sephora, Nordstrom, and yslbeautyus.com. Makeup would tell you Yves Saint Laurent Long-Wear Cream Eyeliner 3 Noir Bronze is spectacular. These little pots of loveliness are the best gel/cream liners I have ever tried. Some may find the limited color selection too conservative, but I happen to enjoy the edited sophisticated choices. What is your favorite gel liner? Until next time, be well, stay safe and be happy. 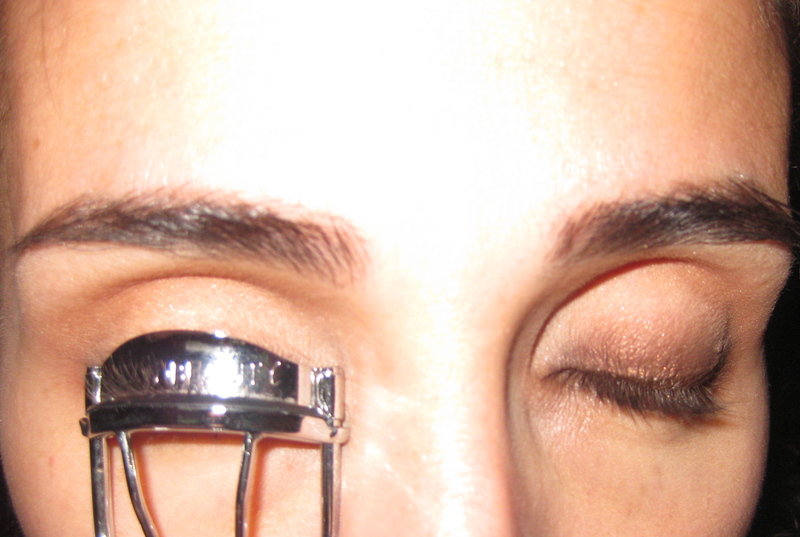 Eye Makeup for Brown Eyes: Step-by-Step tutorial. End result with all products listed below! This post was inspired by comments I received by Christa and Angie. Christa is a new mom and was looking for suggestions to make her brown eyes pop. Angie requested a post/guide specifically dedicated for new moms to follow. I happily accept the challenge; an eye makeup for brown eyes is my specialty! I have a soft spot for new moms, after all I use to be one. Even though my babies are not babies anymore and my nights are rather peaceful (don’t be jelly), I find in many regards, I’m just as busy as ever! The last thing any mom thinks about, is putting on makeup. I went down that dark path, and trust me [I] was not pretty. The more I tried to simplify my routine the more “I” became obsolete. 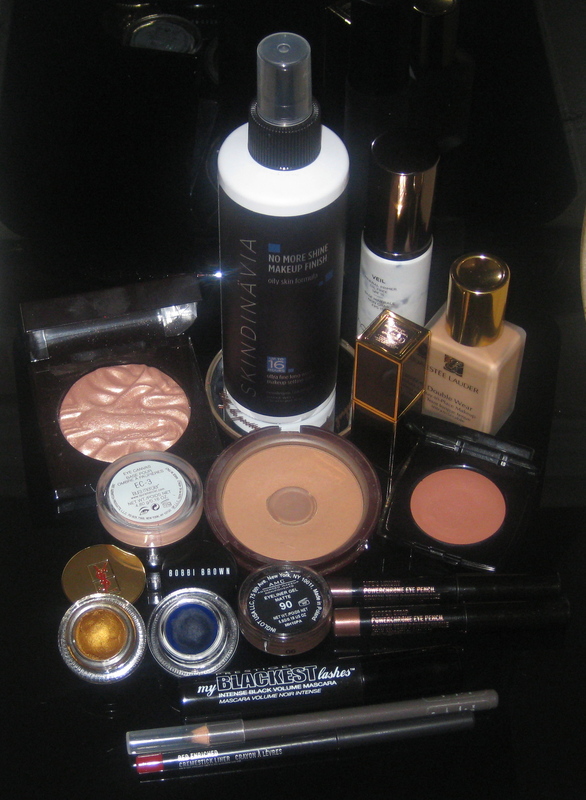 THE PRODUCTS: Please do not feel compelled to use/purchase the same products. Substitute your own products as needed. 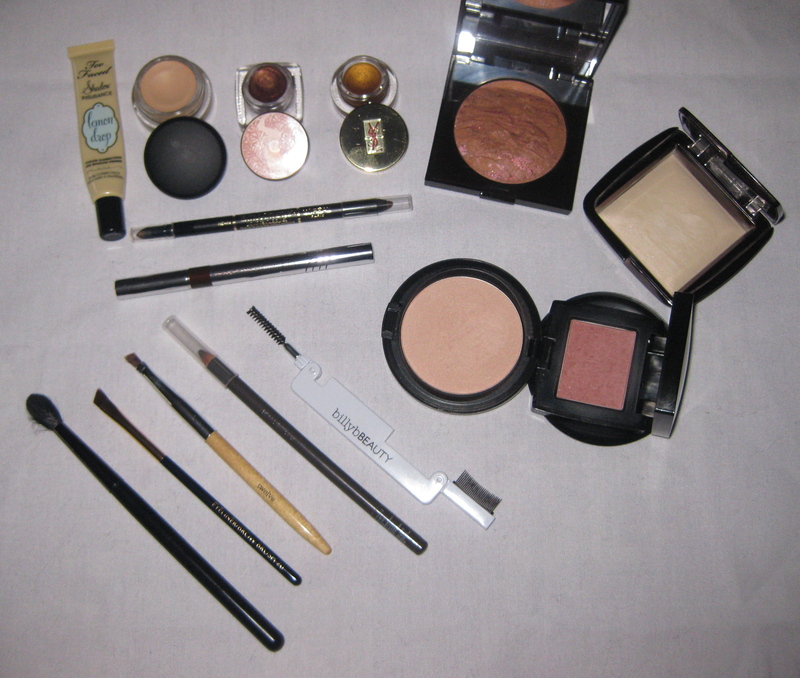 FROM LEFT TO RIGHT: Too Faced Shadow Insurance, MAC Soft Ochre Paint Pot, Tarte Amazonian Clay Waterproof Eyesahdow in Shimmering Bronze, YSL cream liner #7 Gold Star, Laura Mercier Ritual, Hourglass Diffused, L’oreal Extra Intense liquid pencil eyeliner in Brown, Physician Formula 2-in-1 eyeliner pen in Dark Brown, MAC Too Chic powder (used as a highlighter), Sunday Riley blush in Blushing. TOOLS: Burberry #09 blending brush, Estee Lauder angled eyeliner brush #20, Billy B #12 brush (THE BEST), Shu Uemura Seal Brown 02 eyebrow pencil, Billy B. eyebrow comb and brush. 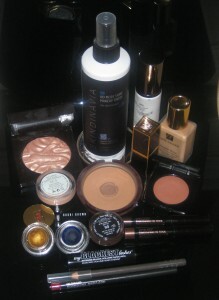 ALWAYS start by applying a shadow base; Too Faced Shadow Insurance is my choice (for now). This will insure your eyeshadow does not crease. Next, apply MAC Soft Ochre Paint pot to even out the lid coloring. This can also be used as your sole eyeshadow (with the addition of mascara and liner) on lazy days for a clean polished look. 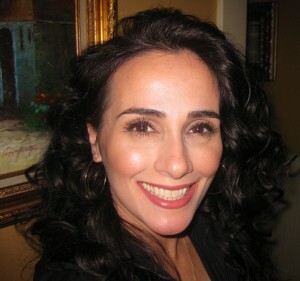 Next, take L’oreal liquid eyeliner pencil in Brown and run a line along the lash line (does not have to be precise). Then take Billy B. #12 brush or any angled eyeliner brush and smudge out the line. 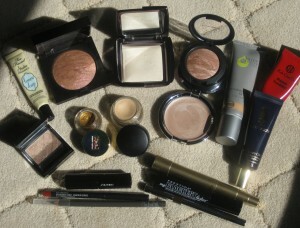 Being that I have deep set eyes, I cannot take the brown all over the lid. By keeping the upper half of the lid in the ochre color, I give the illusion that my eyes are not as deep. If I were to completely apply the brown to the whole mobile lid, it would further recess my eyes. Big no-no on tired eyes! 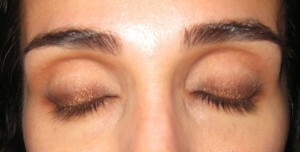 Next, use Tarte’s eyeshadow in Shimmering Bronze and apply it on top of the smudged Brown liner. Having the L’oreal liner act as a base for the Tarte shadow, will intensify the bronze and truly make it last all day!!! 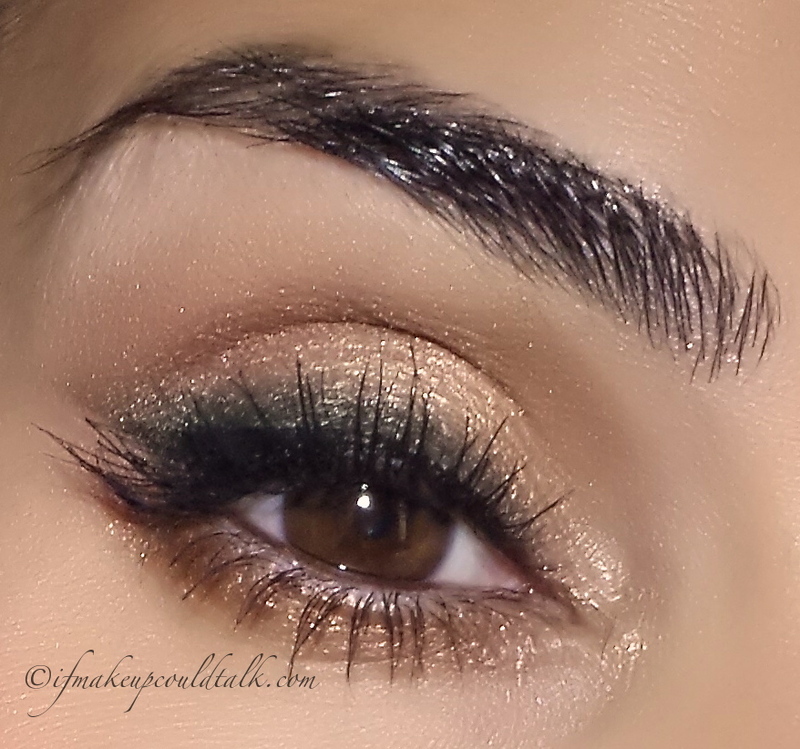 Of course, you can add more Shimmering Bronze until you have reached your desired intensity! Next, take Laura Mercier Ritual (reviewed here) and apply it with Burberry #09 blending brush to the crease and slightly above. This step adds warmth and dimension to the eye area. 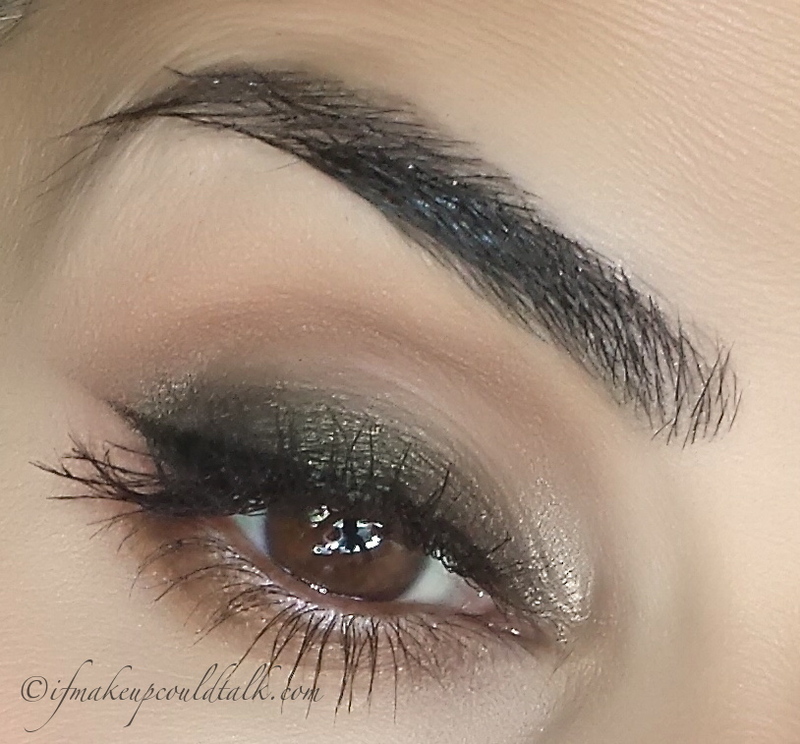 Add Hourglass Diffused (reviewed here) on the brow bone to highlight that area. 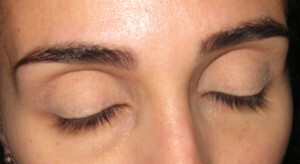 Next, take Physician’s Formula 2-in-1 eyeliner pen in Dark Brown and line your lash line. 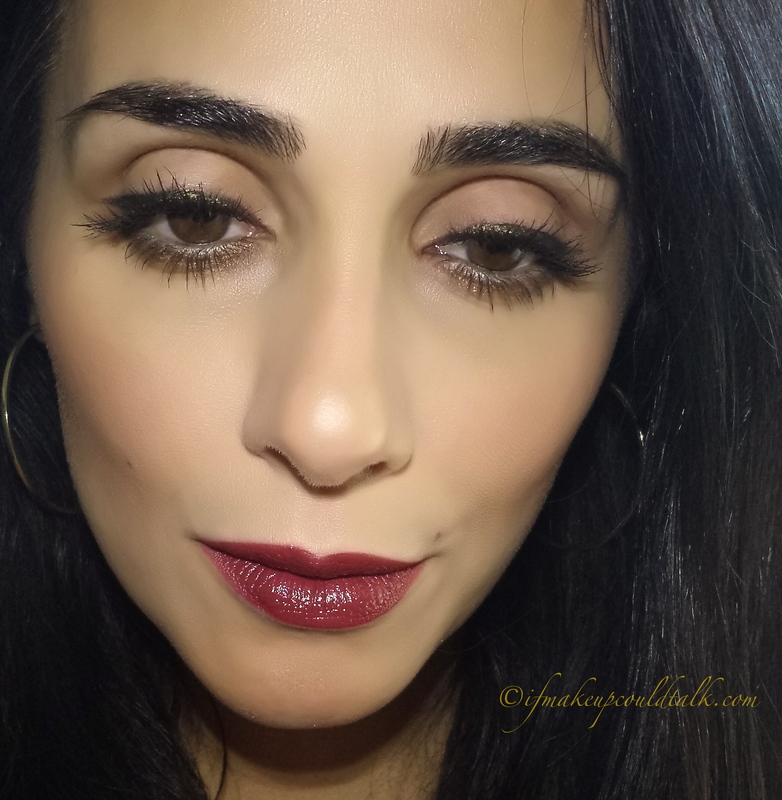 I always add a flick to the end to elongate my round eyes. Next, add mascara and line the lower inner rim of your eyes with YSL #7 gold star cream liner. If you really want your eyes to stand out, apply individual false lashes at the ends or an entire strip! 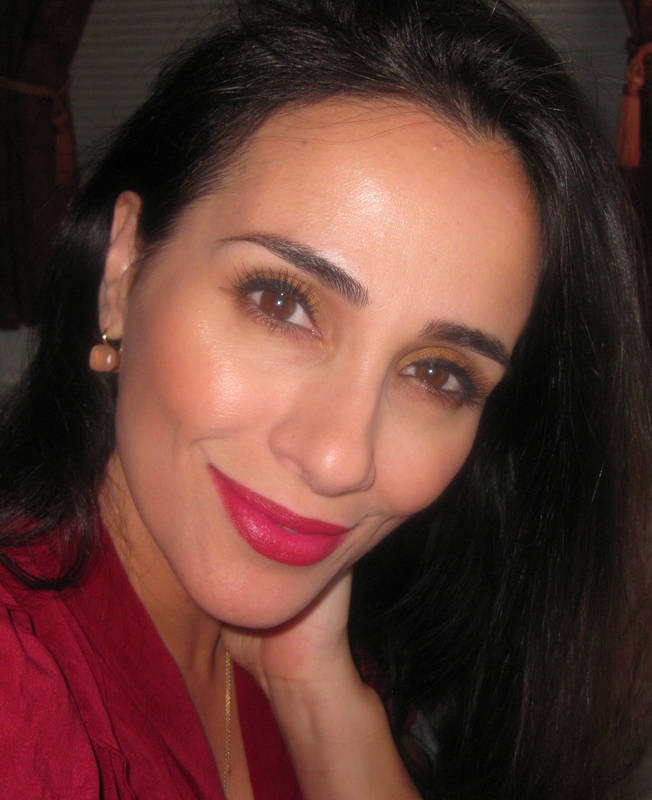 I used L’oreal Telescopic mascara, the one in the gold tube. Add your favorite lipstick and Voila you are done. I don’t understand how a woman can leave the house without fixing herself upa little-if only out of politeness. And then you never know, maybe that’s the day she has a date with destiny. And it’s best to be as pretty as possible for destiny. Amen sister!!! This pertains to men as well!! Makeup also says, “A happy woman makes a happy MOMMY and WIFE!! !” Be well and stay safe.